Something I put together for St. Pat's day, but didn't get through the approval process in time. 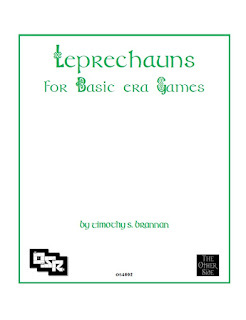 Two options for adding Leprechauns to your games. First up is a race as a class option for "Basic Era" games. 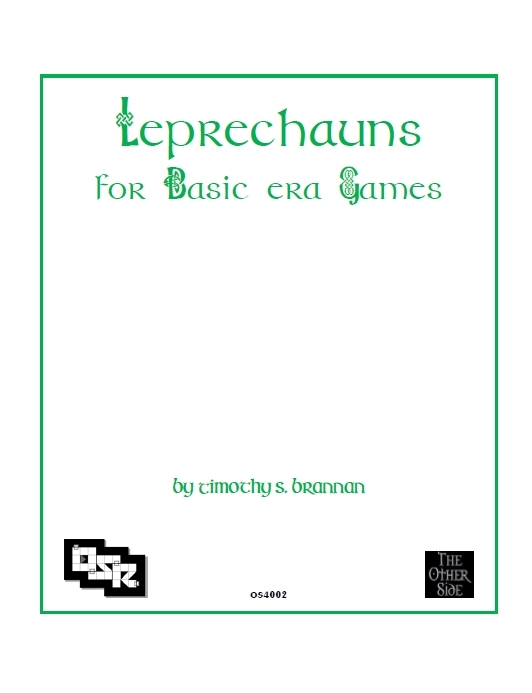 While I working on that one +James Spahn released his very fun Hero's Journey, so I felt a Leprechaun race option might be fun for that. 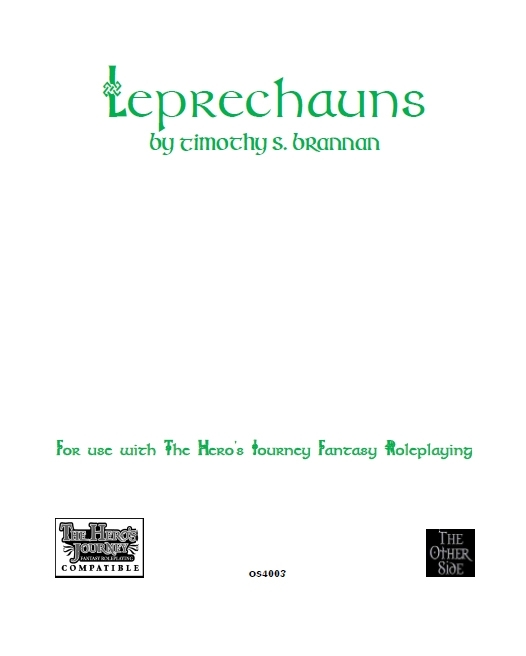 The PDFs cover the same essential materials, so having one will give 80% of what the other has. Both are Pay What You Want. If you have some spare change and what to try a new class/race might I suggest this.